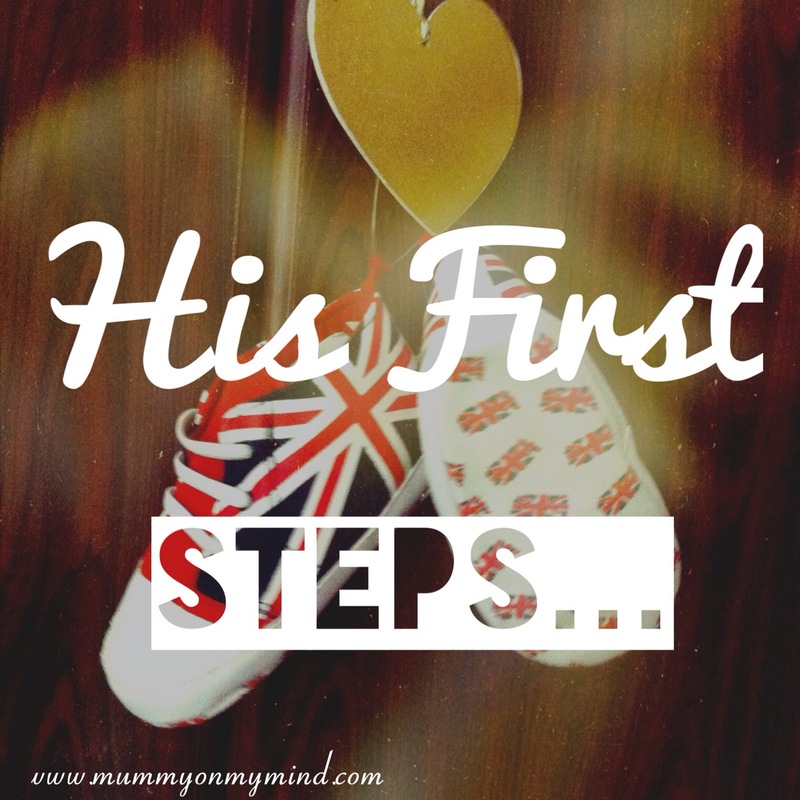 I am writing this post minutes after Baby Z just took his first steps. I did not imagine a moment could fill my heart with such pride as it just did. I want to capture this moment in words right now so that this special memory can be revived again and again in the future, as a reminder for how proud my little boy makes me feel. Of course I was ecsatic when Baby Z reached other firsts such as crawling, standing up, and even his first bite of a Shawarma! However, nothing compares to this monumental feat! My little baby WALKED! From here on, he will be doing this every day for the rest of his life, and I was blessed enough to see it happen first! Isn’t that just magical? Albeit it was three or four steps in quick succession before he tumbled into my arms, but I am so proud to have witnessed it! I keep saying that, don’t I? PROUD. I really am, and I can’t think of any other word to express my happiness! In the years to come, Baby Z will do so many more things that I will be proud of, and perhaps I will write blog posts about those too. But when the going gets tough and Baby Z isn’t quite being the best at something, I want this to be a reminder to myself that I am still his proud mother. I want to tell my future self that even if he does not get the best marks in class, is not performing well at the football game or didn’t get into the university of his choice, I am still PROUD of him. Dear future self, remember back to his first steps and relive the moment of infinite love beaming out of your soul for this tiny little human. Dear future self, God chose you and Hubby to be blessed with him, and don’t ever forget that you are so proud to call him “my son”. Dear future self, his tiny little fingers may not seek you at every step anymore like they do now, but you must give him that indepedance and watch over him from a distance. Allow him to grow, progress and transform. But dear future self, just as you were there to catch him today as he fell after taking his first few steps, be there for him when he falls in the future too. How did you feel when you witnessed your Baby’s first steps? Please feel free to share in the comments section below! Thank you for the lovely comment! Yeah I’m still in awe of my little boy!